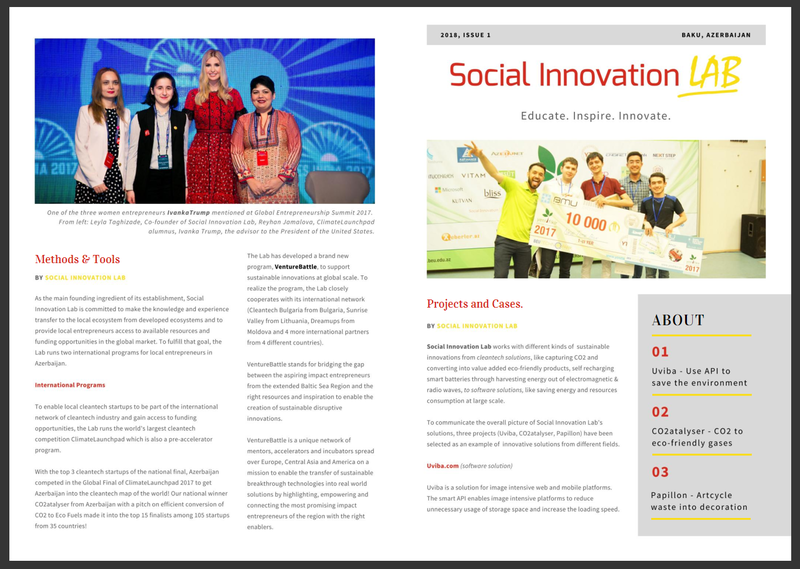 Social Innovation Lab was launched on 1st of August, 2016 with the announcement of the first program, Ideation Lab for aspiring entrepreneurs in Baku, Azerbaijan. Kicked off the first program of Social Innovation Lab - the Ideation Lab (formerly named as GrowthCoachBaku). 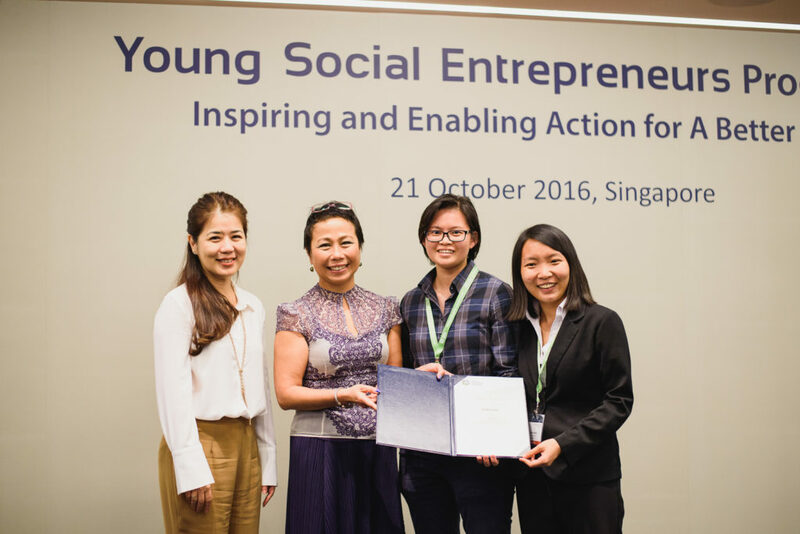 Our startup BeBonobo has emerged as one of the six winning teams in an international Young Social Entrepreneurs (YSE) incubator programme in Singapore organised by the Singapore International Foundation, where they received SGD $20,000 in seed funding to scale up their social enterprise. 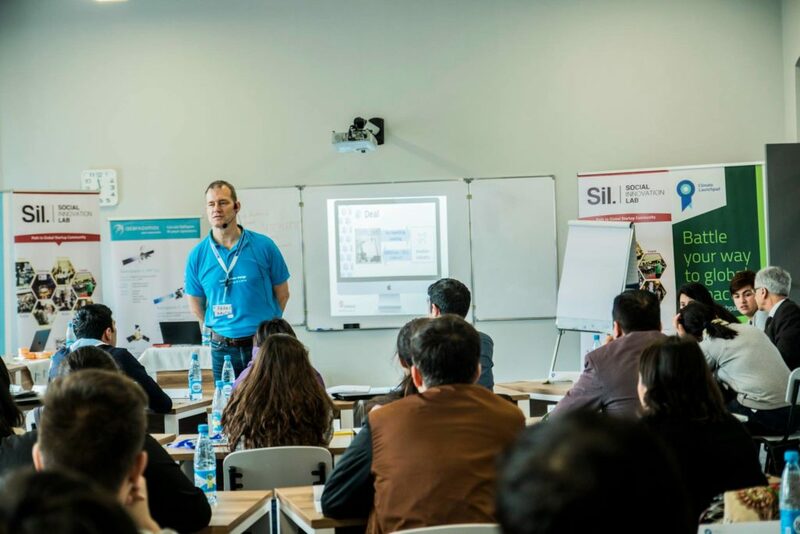 On 29th October, 2016, the first ever Social Enterprise Bootcamp in Azerbaijan took place in Social Innovation Lab. The 27 chagemakers together with 4 mentors built 5 new social enterprise to solve the most emerging 5 social issues in Azerbaijan. Trained 16 startups of 40 entrepreneurs from 11 countries for 3 days on essentials of entrepreneurship through series of workshop like Design Thinking, VPC and BMC on Lean Methodology and run the Final Pitch Show. 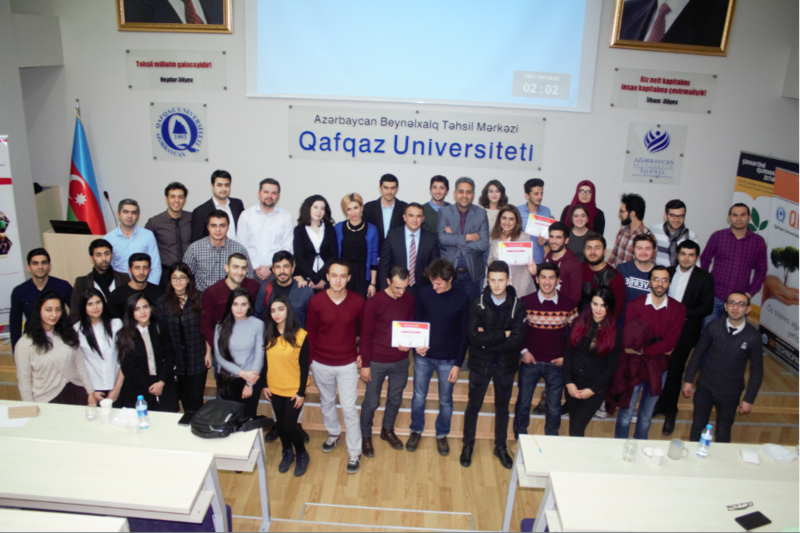 On 20th November, the second Social Enterprise Bootcamp took place in Social Innovation Lab. The 18 chagemakers together with 4 mentors built 4 new social enterprise to solve the most emerging 4 social issues in Azerbaijan. Hosted the Pitch & Bish #Signature (P&B) No: 1 on 17th of December, 2016 the first time. P&B is a monthly event that is a platform for startups to showcase their products and get valuable feedback from domain experts/entrepreneurs. Ten early stage startups of Ideation Lab pitched their products to judges on 23rd December, 2016 in Final Pitch Day after 15 weeks of hardwork. Sil. launched StartupAzerbaijan.az platform - an online directory for aspiring entrepreneurs on Azerbaijani Startup Ecosystem (tax, incorporation, patent, license; incubators, tech schools, co-working spaces, competitions; funds, VCs; top startups and more). 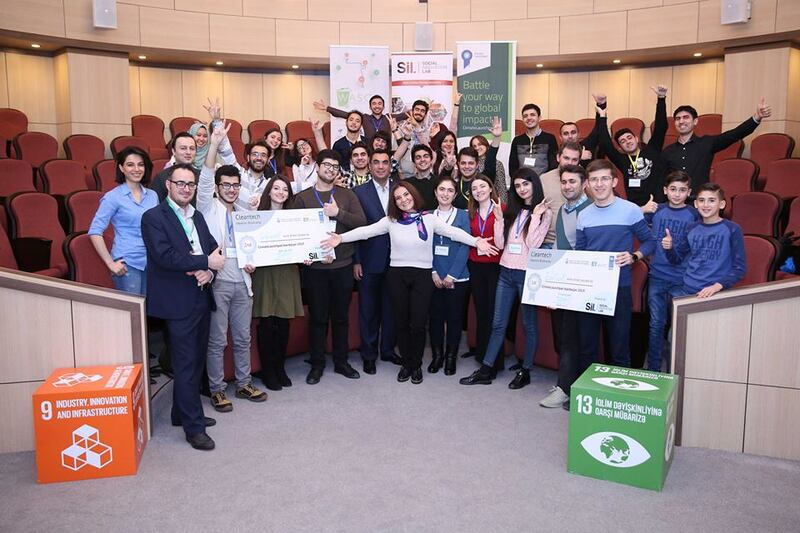 Azerbaijan joins to the world’s largest Green Business Idea Competition, ClimateLaunchpad with the National Leadership of Social Innovation Lab. 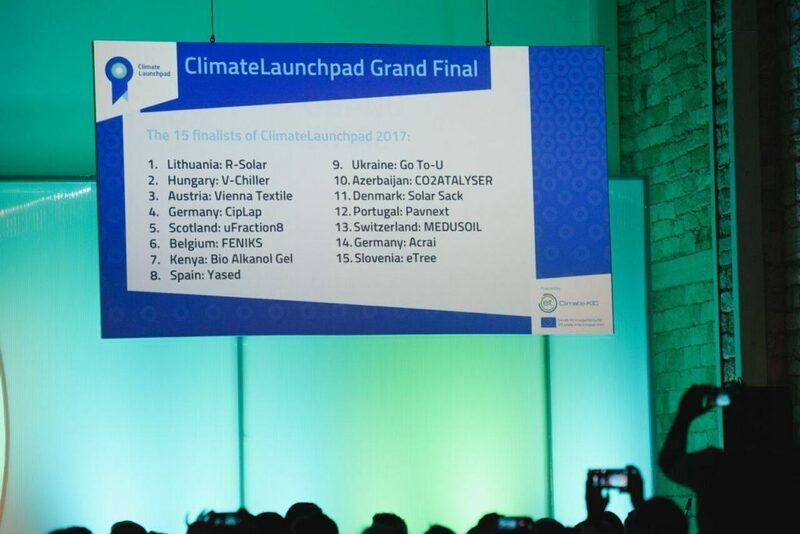 ClimateLaunchpad helps entrepreneurs to create, develop and promote their clean technology ideas to create the best possible future for our planet. Kicked off ClimateLaunchpad with 14 cleantech startups from Azerbaijan with 2 full days of National Bootcamp. Our social enterprises Papillon, Learn For Change - LFC and Mirvaristore at Social Innovation Lab redesigned their vision and planned short and long term action plans to create greater social impact and become more sustainable social enterprise with the guidance of Anna Książek & Andrea Pucci from "How to /ex\change the world". 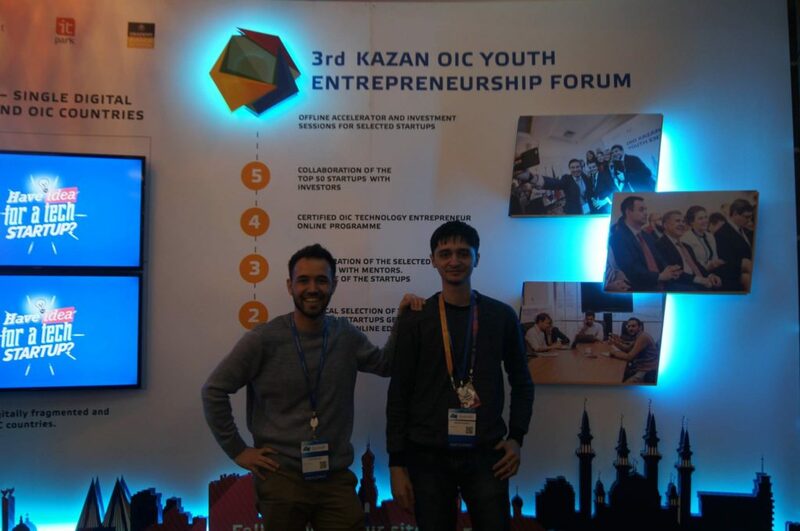 Our startup Uviba (formerly NewTimeBox) represents Azerbaijan in an international startup program Kazan OIC Youth Entrepreneurship Forum 2018 that was held on May, 2017 for a week. Hosted the first ever Social Enterprise bootcamp in Ganja in collaboration with "Bridge to the Future". During the 2 full days of bootcamp participants learned essentials of entrepreneurship and social entrepreneurship through series of workshop like Design Thinking, VPC and BMC, built their own SE business models to generate income though solving different social issues of the local society and pitched to the Judges. 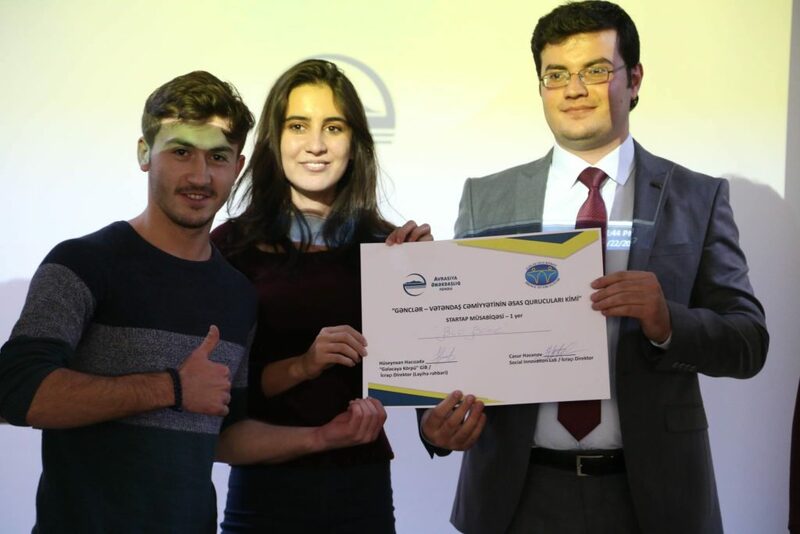 Our startup Uviba.com (formerly known as NewTimeBox) wins the first prize of YeniFikir 2017, the largest local startup competition in Azerbaijan. 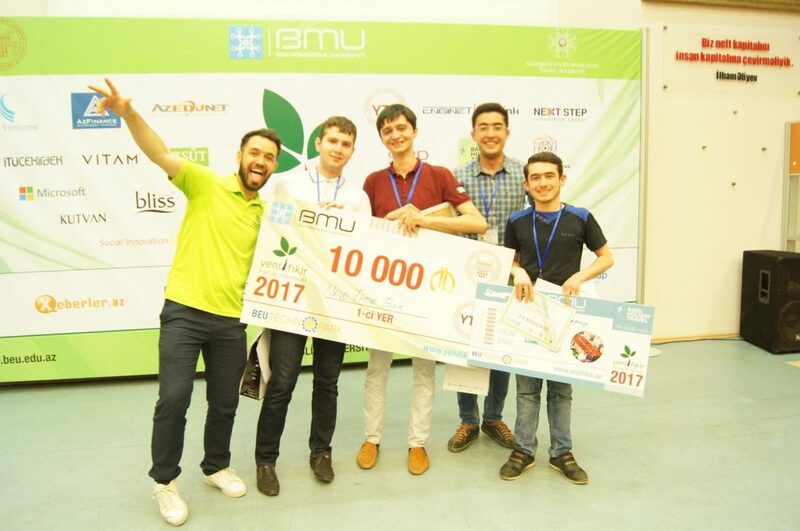 The team wins 10,000AZN cash prize and also a trip to Silicon Valley. Startups went through 2 months of intensive training and mentorship to achieve problem/solution & product/market fits and also build first working prototype (MVP). Hosted the second Social Enterprise bootcamp in Ganja in collaboration with "Bridge to the Future". 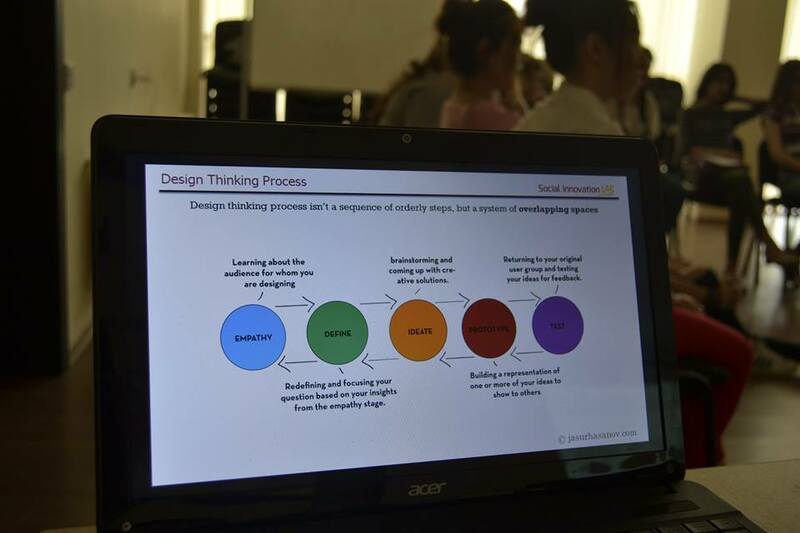 During the 2 full days of bootcamp participants learned essentials of entrepreneurship and social entrepreneurship through series of workshop like Design Thinking, VPC and BMC, built their own SE business models to generate income though solving different social issues of the local society and pitched to the Judges. Hosted the Pitch & Bish #Signature (P&B) No: 2 on 20th of July. P&B is a monthly event that is a platform for startups to showcase their products and get valuable feedback from domain experts/entrepreneurs. On 5th August, Social Innovation Lab hosted the startup event of the year in Azerbaijan, ClimateLaunchpad National Final Pitch Show where 13 startups showcased their innovative products to the Jury after 2 months of intensive training and mentorship to get into top-3 startups. 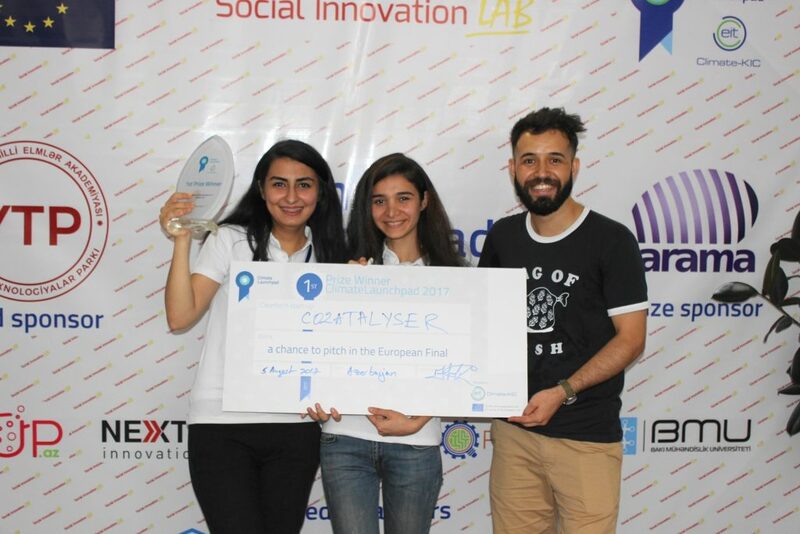 Social Innovation Lab awarded Leyla Taghizade the "Woman Philanthropist of the Year Award 2017" prize for her invaluable contribution to the development of aspiring entrepreneurs in the ecosystem. That's how Phil Award was established. It was established by Social Innovation Lab to award active individuals and business that support entrepreneurs and entrepreneurship in general. Phil Award aims to recognize distinguished individuals and business through creating awareness and publicity about their active contributions. 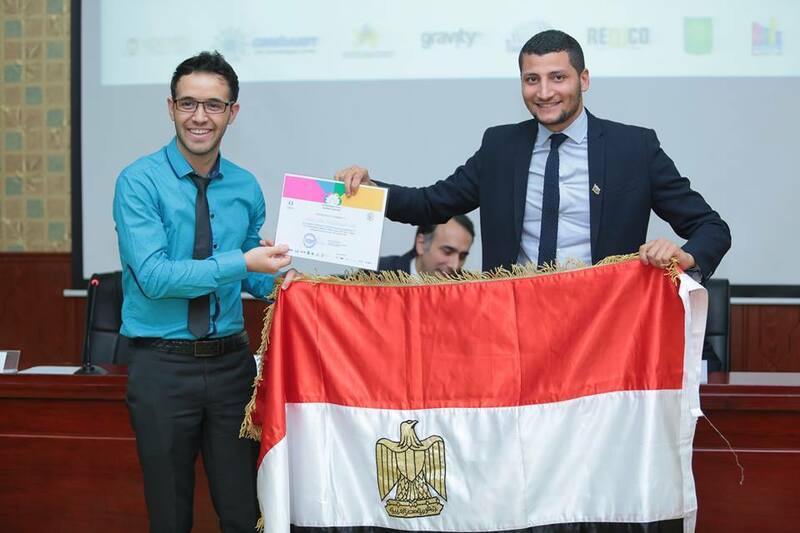 Our startup BioBone, ClimateLaunchpad alumnus, wins the first prize in "Big Idea Competition" in Ganja. 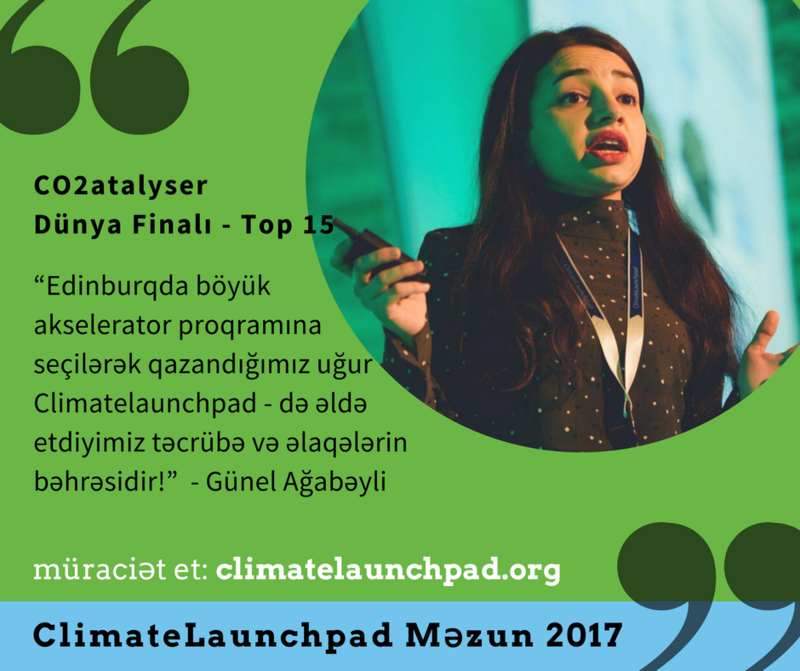 With the top 3 startups of ClimateLaunchpad Azerbaijan we competed in ClimateLaunchpad Global Grand Final 2017 to get Azerbaijan into the cleantech map of the world! Our national winner Catalyser from Azerbaijan with a pitch on efficient conversion of CO2 to Eco Fuels made it into the top 15 finalists among 105 startups from 35 countries! Hosted the Final Pitch Show of 5 months long SE Bootcamps in Ganja in collaboration with "Bridge to the Future". Total of 8 social enterprises that were founded through the bootcamps pitched in the Finals for the prizes of top-3. Our startup BioBone wins the first Prize in the SE Challenge in Ganja among the total of 8 social enterprises that were founded through the 5 months long SE bootcamps. We got invited to the international program on “Promotion of social, sustainable and frugal innovation in the Black Sea region” which took place on the 2nd and 3rd of November, 2017 in Sofia, Bulgaria. 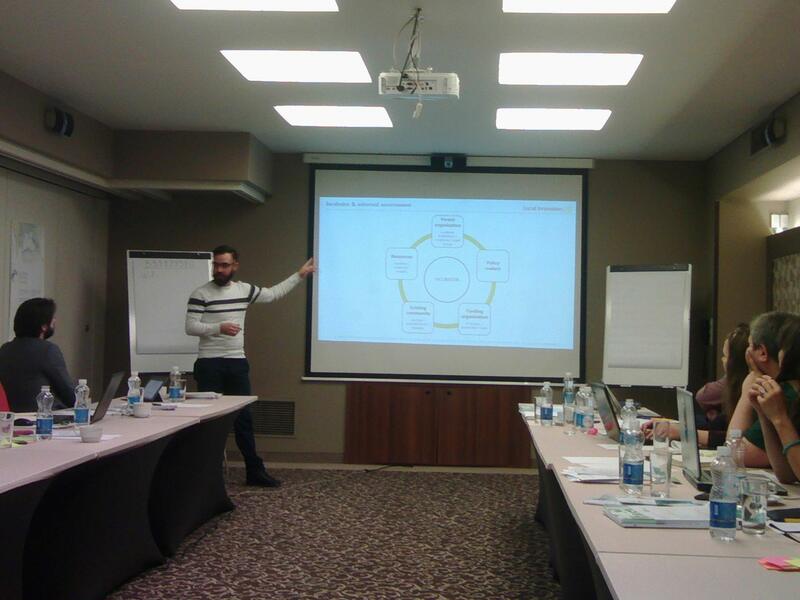 During the program 19 models of ecosystem enablers, social entrepreneurs, representatives of business and civil society organisations from 11 different EU and non-EU Black Sea countries presented their models. Three out of these working models received the highest votes to be presented to government officials and policy makers to develop relevant policy recommendations based on the presented cases. Social Innovation Lab was among the selected three models. Hosted the 6th Startup Bootcamp of Social Innovation Lab in a in collaboration with Technopark of Baku Engineering University. During the full day bootcamp participants learned essentials of entrepreneurship and problem/solution and product/market fits through series of workshop like Design Thinking, VPC and BMC, built their own startup models to generate income though solving different emerging issues of today's society and pitched to the Judges. Ivanka Trump recognizes efforts of 15 years of young woman entrepreneur, Reyhan Camalova, from Azerbaijan in 2017 Global Entrepreneurship Summit in India. Reyhan Jamalova built her startup, Rainergy in ClimateLaunchpad Azerbaijan 2017 pre-accelerator program organized and run by Social Innovation Lab to support local cleantech entrepreneurs on building their innovation and having access to global opportunities. Watch the video here. We got invited to the international program on “Policy guidelines for social, sustainable and inclusiveinnovation: the Black Sea region experience” which took place on the 6th and 7th of December 2017 in Tbilisi, Georgia. 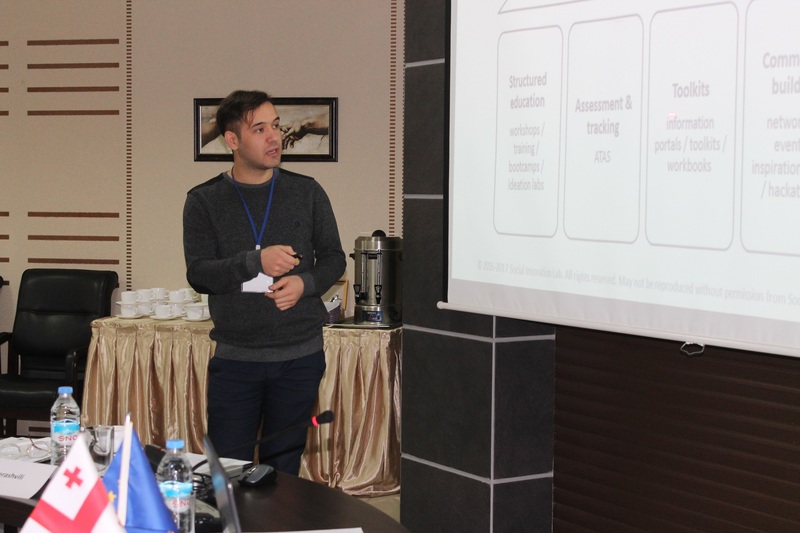 The event was organized by ESIDG in cooperation with the Applied Research and Communications Fund (ARC Fund, Bulgaria) as part of the Black Sea Horizon project under the European Union’s Framework Programme for Research and InnovationHorizon2020. The discussions during the program resulted with Recommendations for the policy makers based on the accumulated experience of EU and non-EU Black Sea countries. Big News! We launched Sil. 's Impact Magazine (issue 1, 2018) with the title of "Building an Innovation Legacy: One startup at a time!". The link to full magazine is here. It explains foundation of Social Innovation Lab and short success stories of some of our champios like Uviba, Catalyser and Papillon! You will find insightful info about all our programs and instruments, also methods and tools that we use to support aspiring entrepreneurs of any kind. Social Innovation Lab announces applications open to the world’s largest cleantech program, ClimateLaunchpad for 2018! 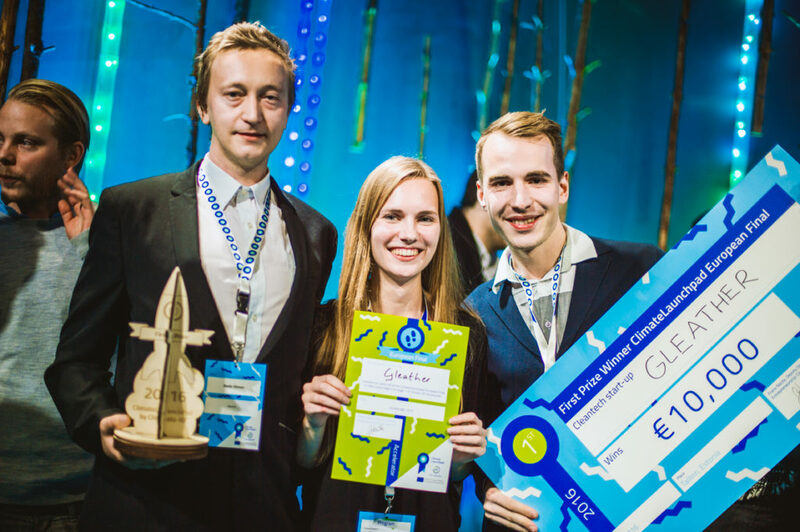 ClimateLaunchpad helps entrepreneurs to create, develop and promote their clean technology ideas to create the best possible future for our planet. Sil. ran 3 full day hands-on bootcamp with 43 aspiring entrepreneurs from high schools and universities. The participants worked on building their first startup venture under the guidance of Sil. trainer. Under the "fail fast, succeed faster" motto, they used tools like BMC, VPC, Intervention Design tools simplify, clarify and better articulate their business ideas under the supervision of program trainers and mentors. The program gave birth to 9 new startup ventures. 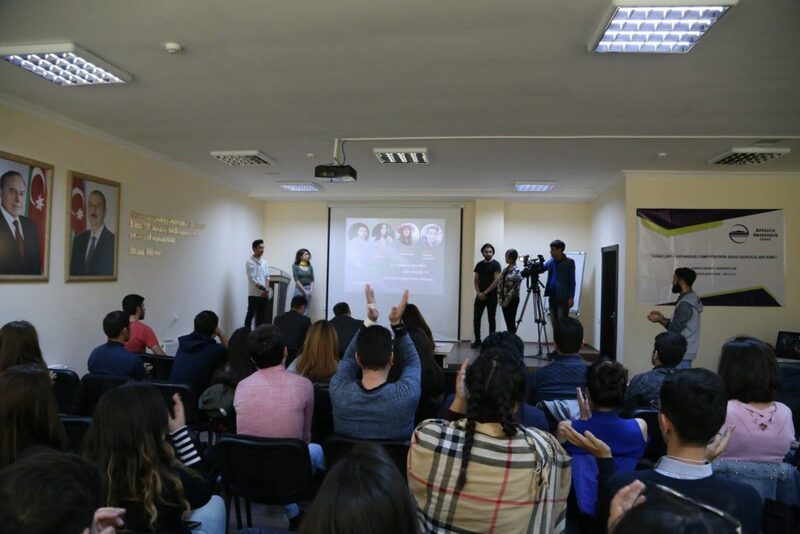 Social Innovation Lab in collaboration with Azərbaycan Texnologiya Universiteti UTECA held very successful startup bootcamp ATU Startup Kampı - Gəncə on 10th & 11th of March in Ganja, Azerbaijan! During the 2 days of intensive full day program, participants worked on their innovative business ideas ranging from alternative food, agriculture to smart solutions in education and health industry. Participants worked on refining their business models and products through utilizing most up-to-date tools like BMC and VPC and at the end of the bootcamp they pitched their products to the Jury. 1st Prize Winner - #Otmilk - a non-diary plant based alternative milk produced for emerging markets outside the US and Europe. We loved it! 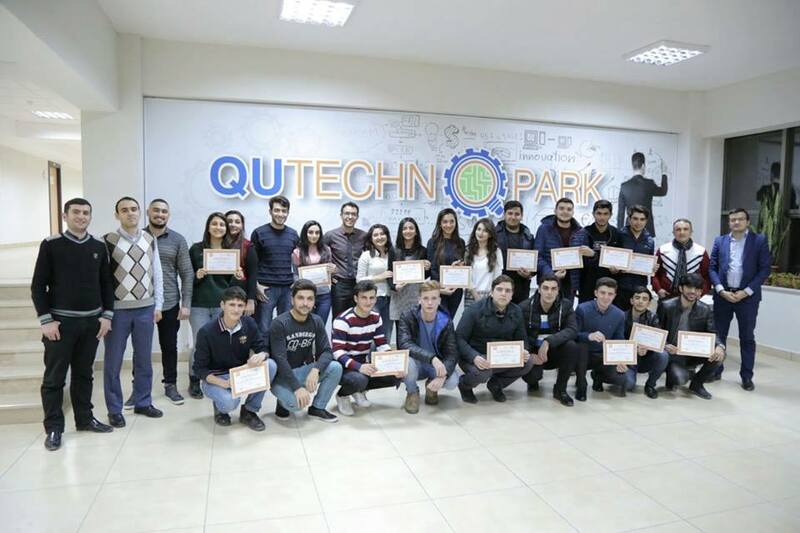 Otmilk was entitled a direct access to ClimateLaunchpad Azerbaijan acceleration program while all top 3 startup were given access to incubation program at UTECA. Sil. Alumna: The Forbes Under 30 List! Sil. 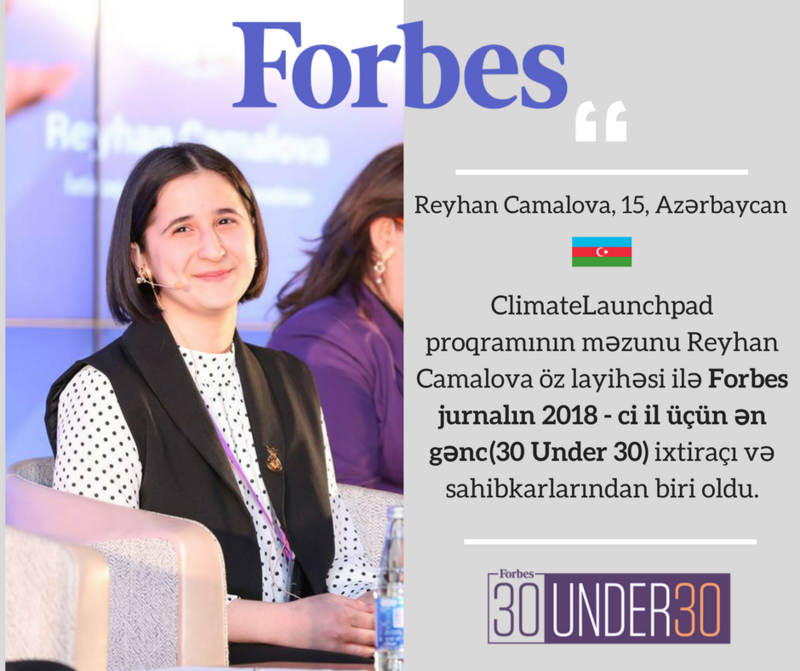 's alumna from ClimateLaunchpad Azerbaijan 2017 program made it into the Forbes under 30 list! This is the first ever occasion that someone from Azerbaijan made it into the Forbes under 30 list! We're very much humbled and proud as Sil. for being the organization behind this remarkable milestone! 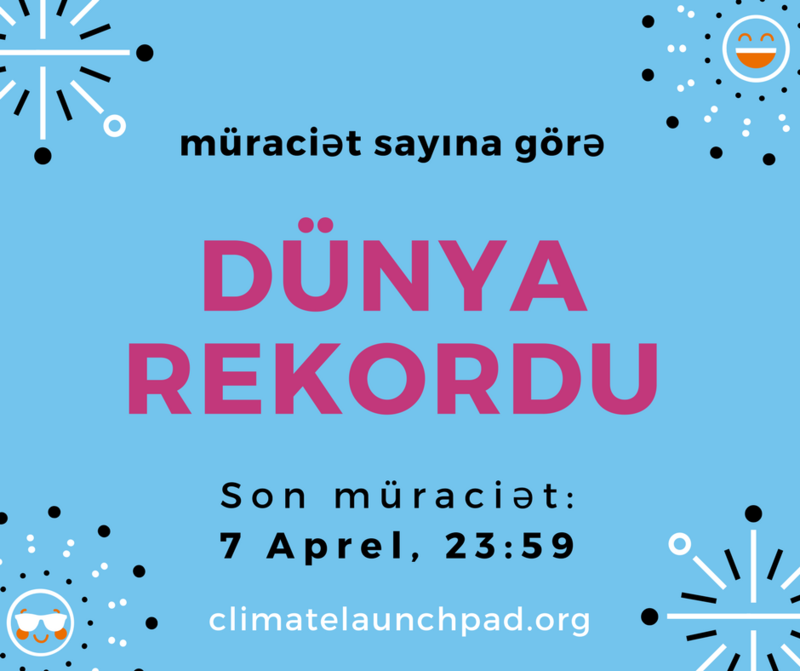 CLP Azerbaijan is an all-time ClimateLaunchpad record breaker with 83 applications received among 50 CLP partner locations in 45 countries. Sil. tribe worked hard and well deserved the Title! Under the motto of "Path to Global Startup Community" our team has worked tirelessly to come up with this beautiful logo that communicates our values and vision! 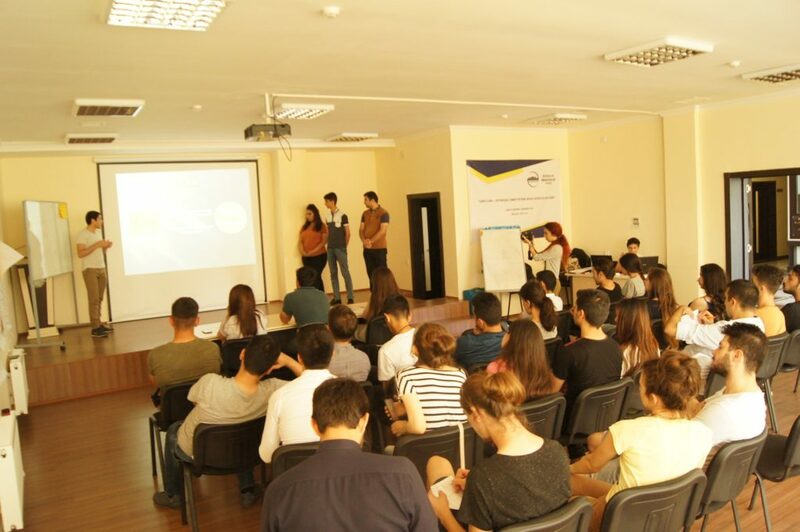 ClimateLaunchpad Azerbaijan took off with a fantastic 2-days of Bootcamp on 21st - 22nd April. 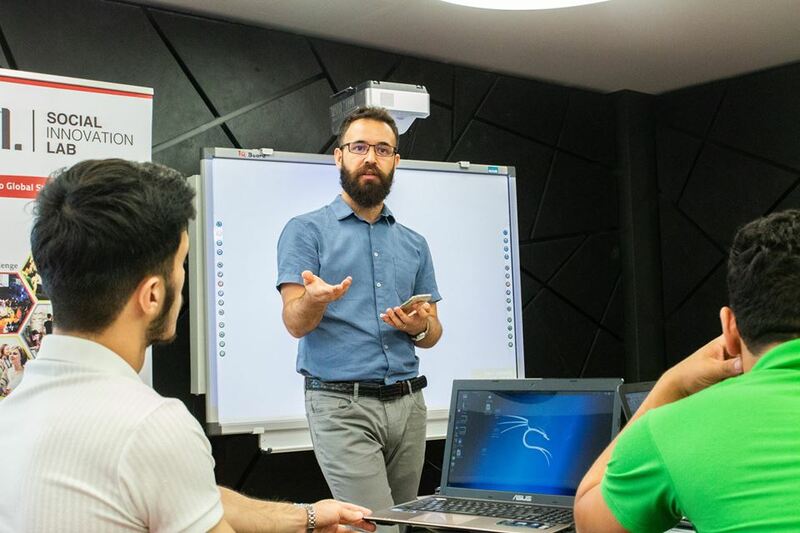 The Bootcamp was run by Frans Nauta, the founder of ClimateLaunchpad, Leyla Tagizade, Jasur Hasanov and Asif Ibrahimov, trainers of Social Innovation Lab. Mind-blowing 15 startups went through series of hands-on workshops from defining right market segment, designing right value proposition to financial projections and jobs to be done. The Acceleration program will continue until 30th of June, 2018 on a weekly basis to support our cleantech entrepreneurs to solidify their business models, achieve product market fit and early traction. StartUP Azerbaijan © Community: 5000+ Members! Our StartUP Azerbaijan © community reached to 5000+ member! Being the most active and engaging group, the community members includes leading investors, experienced entrepreneurs and experts in the field and talented young and aspiring entrepreneurs to facilitate collaboration and growth of the Azerbaijani Startup Ecosystem. Our social enterprise Papillon got featured as impact story on Impact Journalism Day 2017 by Sparknews! 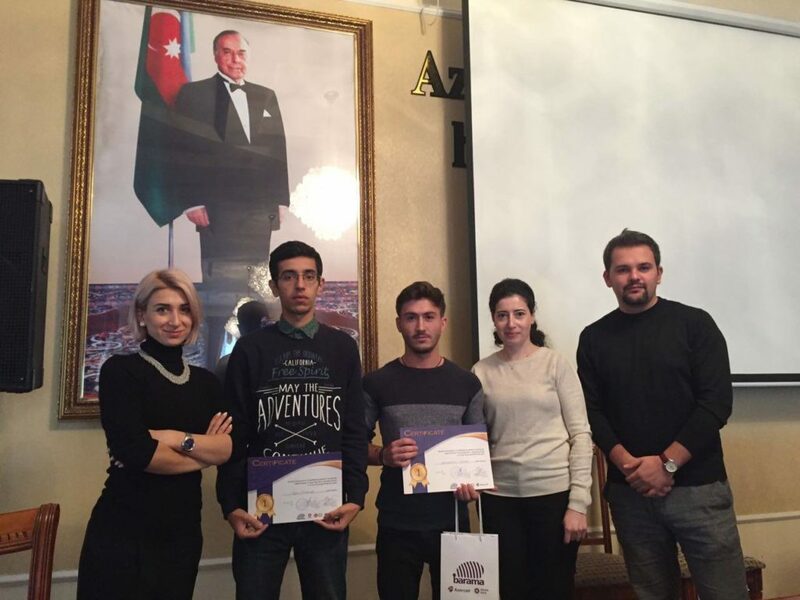 The idea of founding such a company occurred to four students while they were taking part in a Social Enterprise Bootcamp organized by Azerbaijan’s Social Innovation Lab on November, 2016. The participants had been asked to come up with a solution to address some of the emerging challenges of the modern world which also included – pollution. Our ClimateLaunchpad Azerbaijan 2017 alumni Wand. 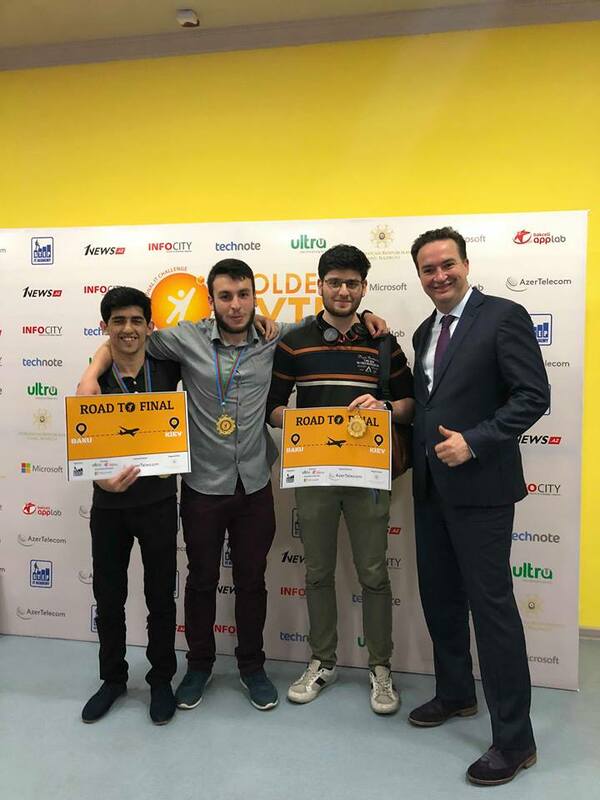 wins the 1st place at Golden Byte 2018 - Regional Final and will be representing Azerbaijan in the International Finals of Golden Byte 2018 in Kiev, Ukraine! 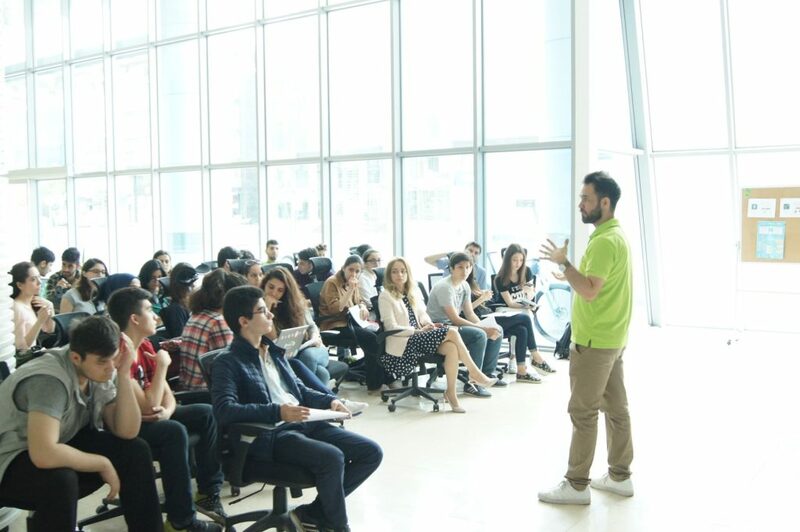 Our startup MyBostan.com - Fresh Store represents Azerbaijan in an international startup program Kazan OIC Youth Entrepreneurship Forum 2018 that was kicked off on 5th May and continues till 12th May. 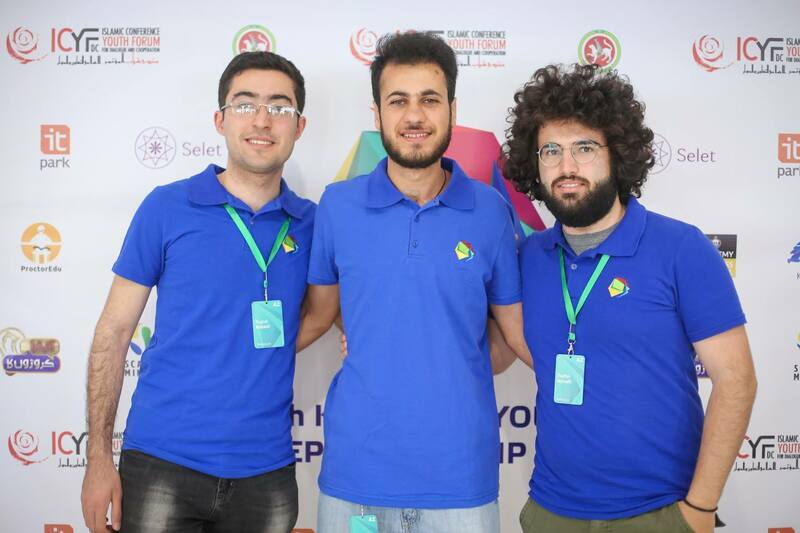 Rockstars of MyBostan Togrul Abbasli, Huseyn Zeynalov and Tayfun Esref are rocking the Forum until 12th May to co-learn & compete for the seed investment among the 35 startups in the Forum from different parts of the world! "On behalf of Social Innovation Lab, I was honored to be one of the speakers at Emerge Conference in Minsk, Belarus. 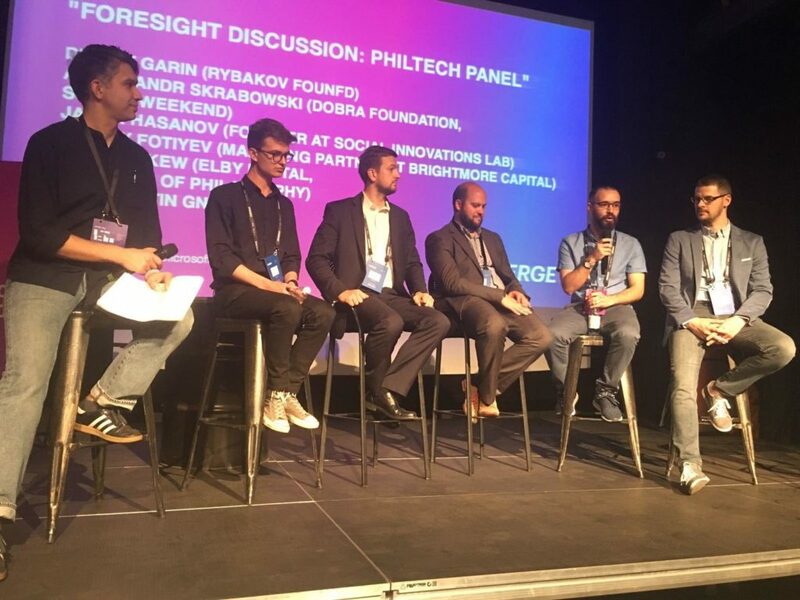 During the Philtech Panel Discussion I had opportunity to share lessons learned from my personal entrepreneurial journey and our practices at Social Innovation Lab, also contributed as a jury member of the Philtech Track to evaluate pitches of the startups from Russia, Belarus, Georgia, Armenia and more." 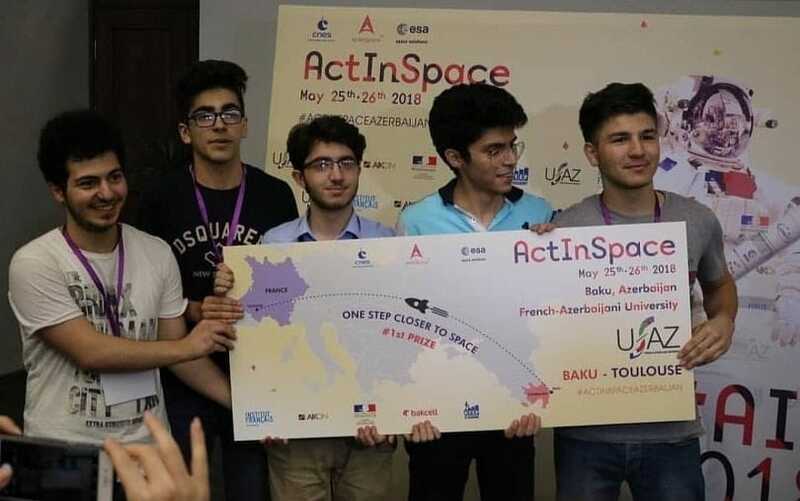 says Jasur Hasanov, CEO, founder at Sil..
ClimateLaunchpad Azerbaijan startuppers Madat Sardarli and Nofel Agayarli wins international space technology hackathon Act In Space Azerbaijan organized by our partner French-Azerbaijani University - UFAZ and they are going to France to represent Azerbaijan in the global finals of Actinspace! 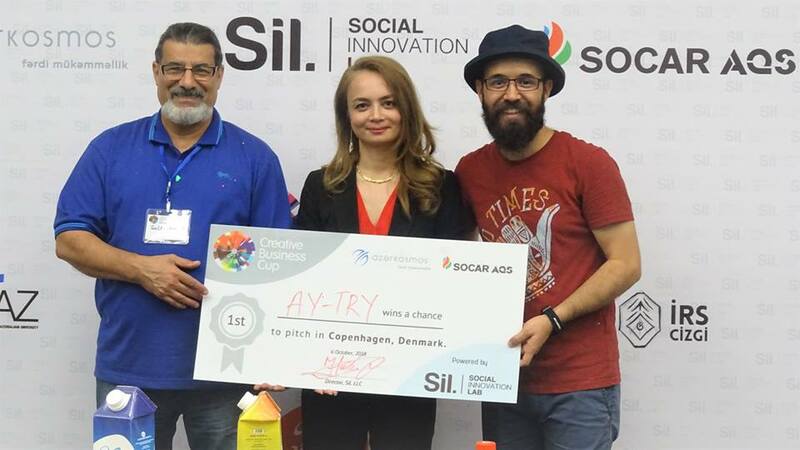 Azerbaijan joins to the world’s largest startup competition in creative industries, Creative Business Cup (CBC) and Sil. is the Official Organizer and the National Partner of CBC in Azerbaijan. 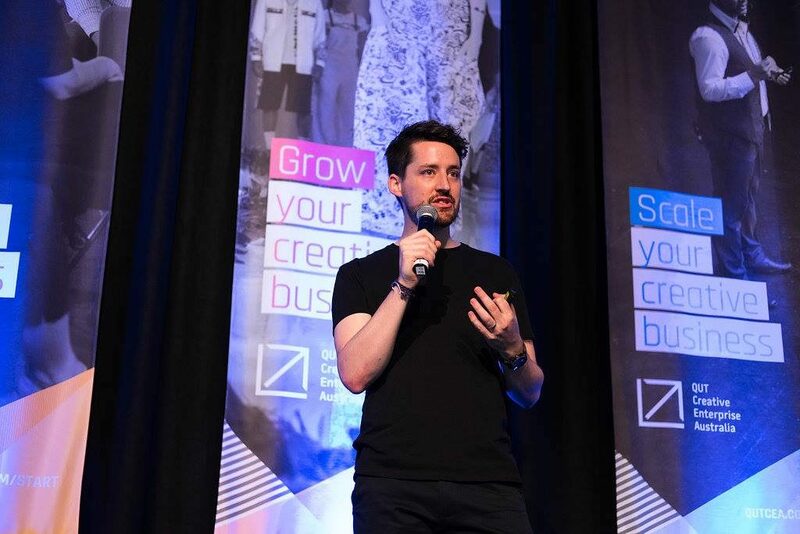 CBC empowers entrepreneurs in the creative industries, connects them to investors and global markets and strengthens their innovative capabilities to the benefit of industry and society. 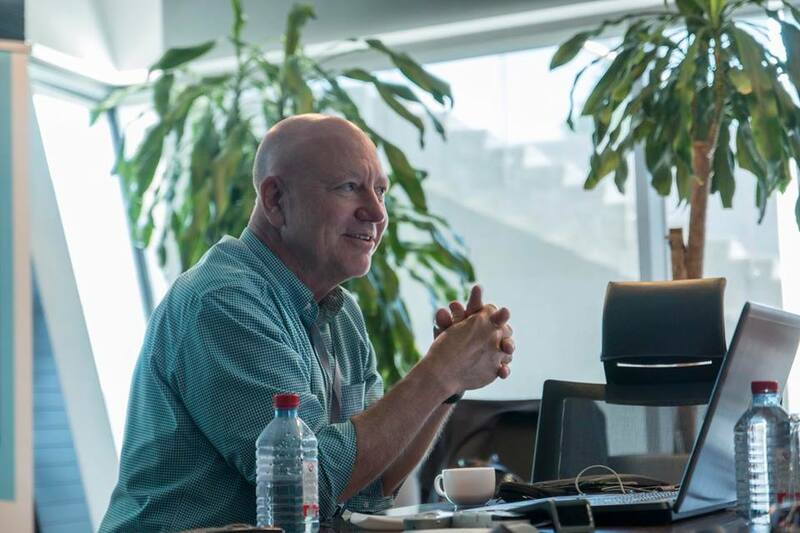 Silicon Valley expert - Rick Rasmussen from the US Berkeley Sutardja Center for Entrepreneurship and Technology - SCET was invited within MAX program framework, spoke about B2G – Selling to Government, the best practices for businesses with this specific business model. 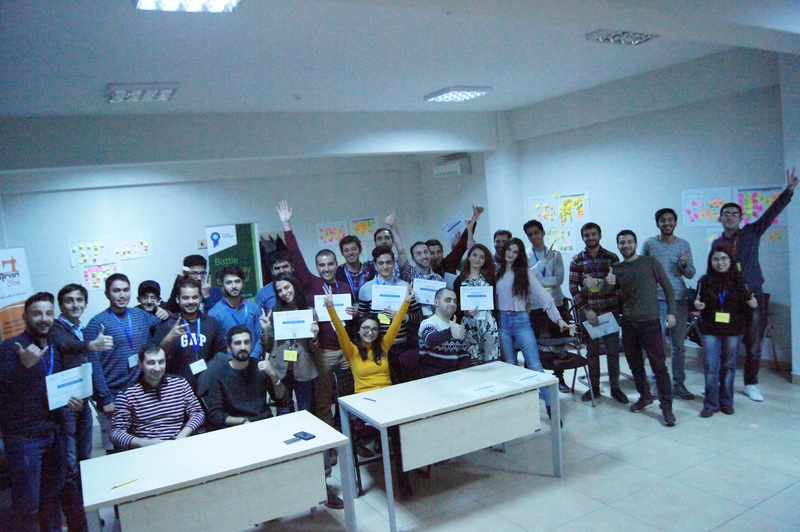 40 entrepreneurs representing Azerbaijan, Georgia, Afganistan and Indonesia participated in a workshop organized by Social Innovation Lab (Sil.) and AzerCosmos Open Joint Stock Company OJSCo. 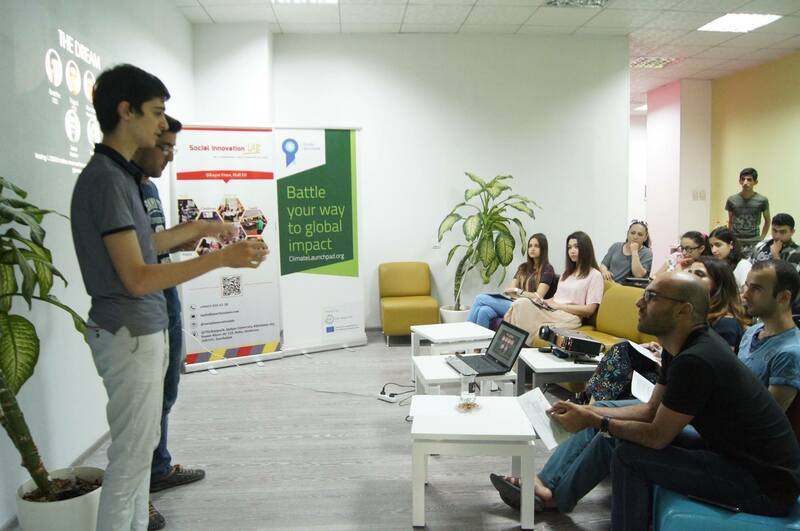 On 30th June, Social Innovation Lab hosted the startup event of the year in Azerbaijan, ClimateLaunchpad National Final Pitch Show where 13 startups showcased their innovative products to the Jury after 2 months of intensive training and mentorship to get into top-3 startups. 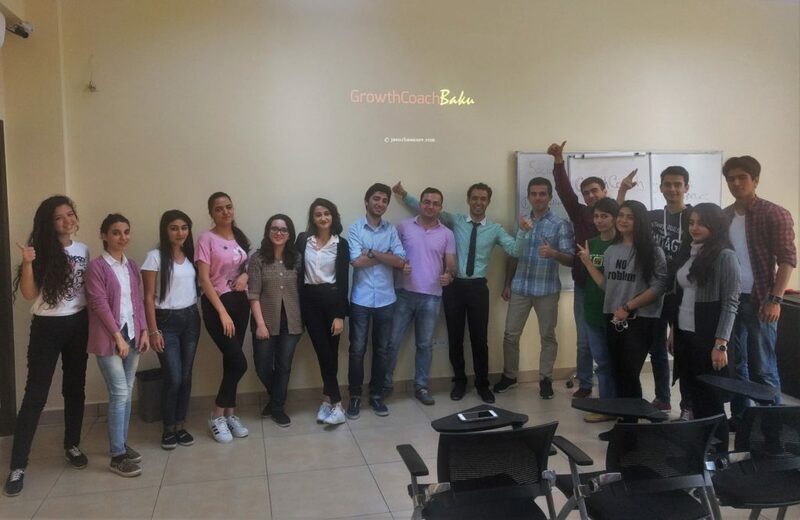 Creative Business Cup Azerbaijan took off 2-days of Bootcamp on 1st - 2nd September. Mind-blowing 15 startups went through series of hands-on workshops from defining right market segment to address their pains or needs, designing right value proposition to financial projections and user acquisition. .
İntroducing of our new web address www.sil.vc which communicates our identity, long term vision and aligns with our current activities. 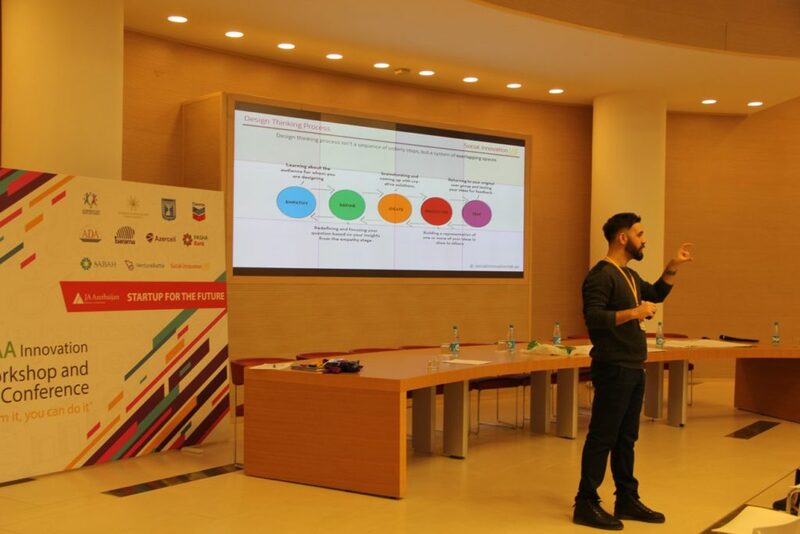 On 6th October, we hosted the startup event of the year, Creatives Business Cup Azerbaijan FINAL Pitch Show where 13 startups starred on the stage to explain how they are riding the wave of the trillion dollar business opportunity of our time – the Creative Industries. The Jury selected the top-3 startups and the "Top Female Entrepreneur". 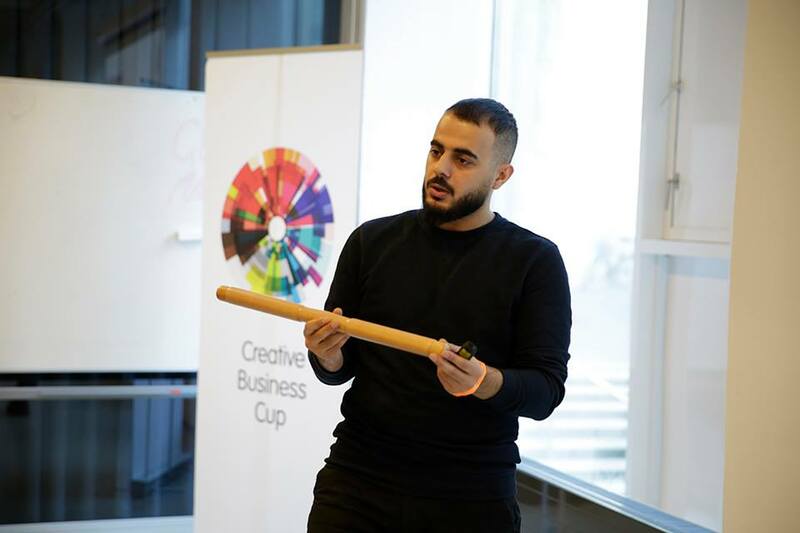 The Winners of Creative Business Cup Azerbaijan 2018 compete in the Grand Final of Creative Business Cup in Copenhagen, Denmark! 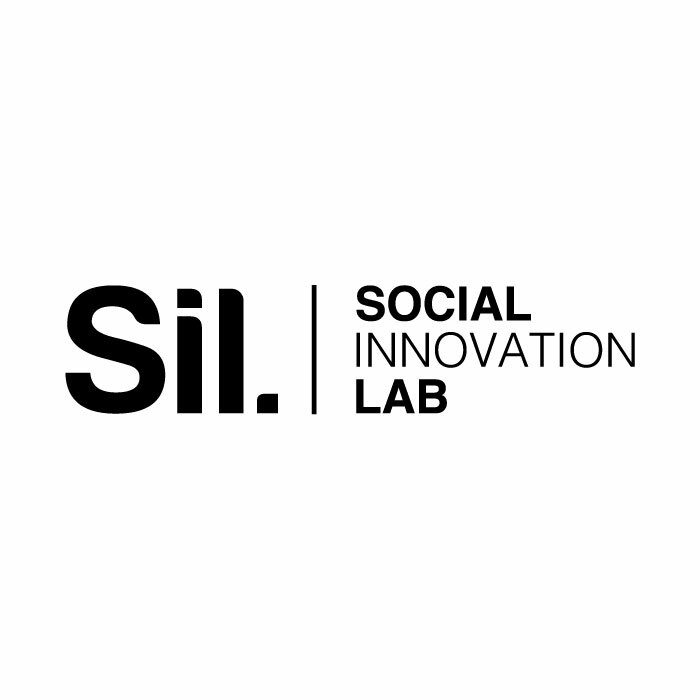 Social Innovation Lab (Sil.) 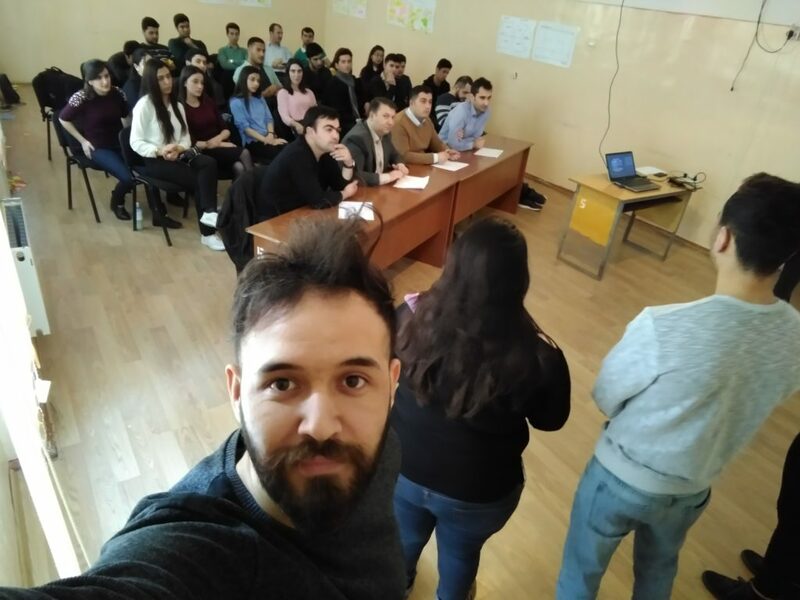 and UNDP Azerbaijan hosted Cleantech Ideation Bootcamp in BHOS to discover innovations that addresses one of the world’s most challenging issues – Climate Change! On 22nd – 23rd December 33 entrepreneurs, 4 trainers, 6 mentors spent 2 full days together working on finding innovative solutions to tackle climate change through entrepreneurship.